Head-up displays are becoming increasingly common in cars and motorcycle helmets from the factory, and are also being offered by third-party manufacturers. These devices give the user easy access to information including navigation, speed, weather, road hazards, and more. In many cases. the HUD can be paired with your smartphone, so you can make calls, listen to music, and access other features from your phone. The O-Synce Usee takes this concept and applies it to bicycle helmets, so cyclists can enjoy the benefits of the technology. Developed and patented by Momes GmbH, the Usee is described as the first device of its kind. The goal is to keep cyclists’ eyes on the road and hands on the handlebars, while letting them monitor their performance and location via navigation. The unit is housed in a waterproof case, and the LCD works in all weather conditions. A UV collector allows the display to adjust according to light conditions for greater readability. The Usee display is composed of two sections. Speed is displayed on the left, though this can be changed to suit your preferences. If you connect the Usee to both a heart rate monitor and a power meter (a device that measures the power output of the rider), the speed indicator on the left side is replaced by your heart rate, while performance is displayed on the right. The Usee can also display travel time, current speed, cadence, distance, and gear. If you pair it with your smartphone, you can get navigation and lap times. Usee pairs with the Naviki navigation app via Bluetooth, so you don’t need to keep your expensive phone attached to the handlebars or anywhere else that puts it at the mercy of weather and accidents. On certain ebikes, such as the Turbo Levo series from Specialized, the Usee shows the current support level and battery level of the ebike. Weight is of utmost importance to performance cyclists, and the good news is that the USEE weighs just 19 grams, including the weight of the battery. And speaking of batteries, this one has a lifespan of 400 hours. The Usee HUD was Gold Winner of the 2018 ISPO Awards in the Outdoor segment for the Tools and Equipment category. 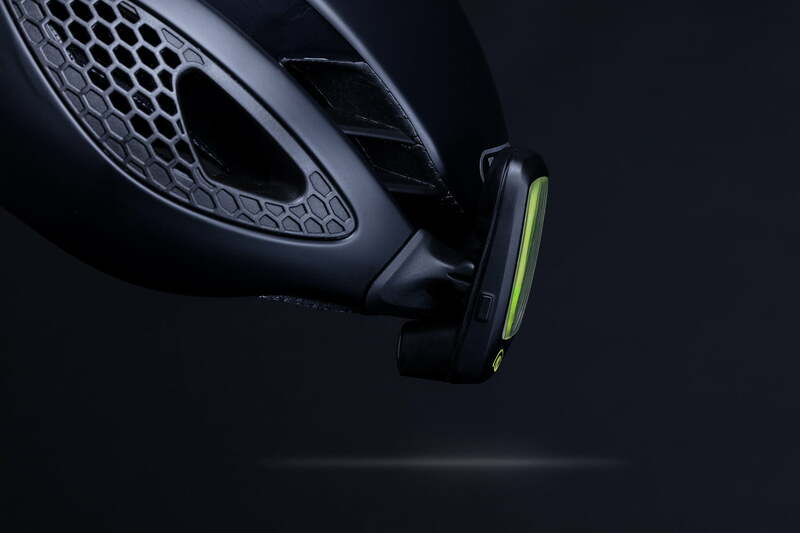 The Usee smart device will initially be available for the ABUS GameChanger, Aventor, and Viantor race helmets, as these have a compatible mounting option.